People change jobs. The days of having one career at one company for 40 years and picking up a gold watch on the way out – are gone. Twenty and thirty-somethings shop around and try different jobs. They get experience. If they are lucky, they find out what they don’t want to do and they gain a blend of unique expertise, are valued and find a career that energizes them. A job search can be a marathon with moments of enthusiasm when you can imagine yourself in a role at a company, moments of frustration – and hopefully with a finish line and a satisfying position. In my day (yikes, I don’t mean to sound over the hill), we graduated from school and found a job. We called on friends and mentors and we went to recruiting sessions with big companies. Now lots of job seekers want to work for start-ups and small companies which do not have ‘recruiters’. Happily, there is help available for job seekers. Have you heard of career coaches? Give you an approach to the job hunt. Challenge you with questions about what job is likely to bring you satisfaction. Suggest tools for self-evaluation and help decipher your strengths (and need for improvement). Share approaches to get your résumé into the right hands. Set up mock interviews to help you feel relaxed and comfortable in the real thing. Give knowledgeable, objective, advice about what position and salary you should seek. (You may think that you should be CEO, but you might have to enter at a more junior position. The first thing to do is decide what kind of coach you’re looking for. Are you’re ‘feeling stuck’ and looking for someone to help you uncover your passion and/or ‘dream job’ or do you know what you want to do but you don’t know how to go about applying for those type of roles? There are coaches for each of these scenarios. Two of my daughters and a friend have all recommended the following coaches. Sandy Golinkin will help you find your passion and then help you get your dream job. She will be a coach and mentor – to advise, guide and teach life skills to people college and beyond who might benefit from her wisdom and discipline. Sandy has succeeded at her first career in publishing. She has launched three major magazines – Departures, Allure and Lucky. She then founded and runs a consulting firm called Raising the Bar ‘to help businesses and people achieve the highest levels of excellence’. She will coach and mentor – to advise, guide and teach life skills to people college and beyond who might benefit from her wisdom and discipline. Sandy sounds like my kind of coach. She is described as being loyal, determined, organized, hardworking and supportive of ‘her’ people. She has practical, sound judgement and high standards and values. She is experienced and has extensive business contacts both within publishing and beyond. Sandy is described as, “Someone you want in your corner.” By people I respect. Sandy is based in NYC, but is happy to coach by phone and/or SKYPE. Julie Houghton is a career and life coach for women. She is especially good at helping job seekers decide what kind of work and position will suit them. On her web page you will find articles which are thought provoking. I liked “Are you addicted to being busy?” and “Five secrets of people who love their work”. If you are beginning a job search, read some of these articles and they will help you frame the questions you need to answer to make a good career choice. The first step with Julie is to fill out a questionnaire and have a free, 30-minute introductory coaching consultation. She comes highly recommended by people I respect. Julie is based in the San Francisco Bay Area, but she works ‘remotely’ with phone calls so you can work with her form anywhere. Anne Mehl is currently helping the senior management team at a successful start-up as they grow. She will help with career change as well. Her website features her Ted talk. It is worth a look. Her theme is that there is no instruction manual for living. She is ready to stand with you as you make it up. She coaches, speaks and writes about how to navigate the changing world of work. She says that women, particularly, can suffer from the ‘Imposter Syndrome’. Women can underestimate themselves and not feel ready. She encourages people to get started, to just ‘do it’. She earned an accounting degree, worked at Citi and Anderson, then in recruiting – and finally in 2005 she recognized her passion, career coaching. She began her business. She knows from personal experience, that it is healthy to think about career paths with an open mind. Ann is working with one of my daughters and her senior management team on their start-up in NYC. Rob comes highly recommended by an ASE subscriber. He describes his one-on-one consulting practice as a four phased process to help clients unlock their Personal Capital. Job hunting or life change is a great time to evaluate all the forms of your human capital: career, intellectual, relationship, financial and social capital. Rob has the experience to lead you through a needs assessment and an inventory of your personal capital. He then helps to design a plan to achieve your goals and works with you through implantation of your plan. If you’ve gotten this far, you are probably thinking about looking for a new job, or you know someone who could use help. There are some online resources to help job seekers get started. See the ASE article on aptitude testing by the Johnson O’Conner Research Foundation, a non-profit aptitude testing organization which has been providing aptitude tests to job seekers for over 75 years. Family members, friends and colleagues have reported that it was helpful to think about their aptitudes as they searched for careers – and in some cases – second careers. Part of the Johnson O’Conner experience is two sessions with an expert who helps you understand your test results. One of our daughters recently did a five-year follow-up and found it useful to review her aptitudes in the context of her career experiences. Johnson O’Connor The Highlands Company, ‘Ability Battery’ is an online aptitude test. It acquired the rights to give the Johnson, O’Connor tests and then it supplements the resulting information with personalized career coaching. Highlands offers a “Whole Person Method” which gets a job seeker thinking about preferences for workplace, communication styles and responsibilities. 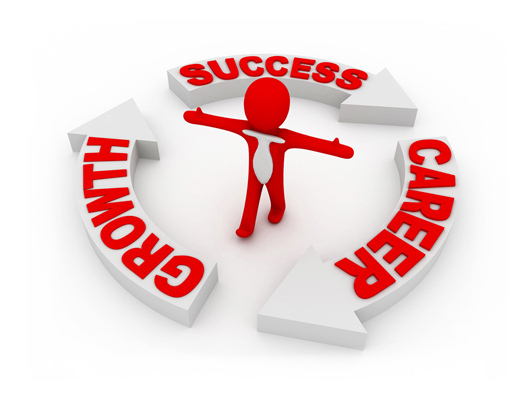 Is career coaching a good thing? I believe that information and self-knowledge are essential for job seekers. If coaches provide perspective and experience, I would use them. However, here is a different point of view from Julie Lythcott-Haims, former dean of freshmen at Stanford and author of How to Raise an Adult. I think that she would accept role of coaches as resources, but also stress the responsibility of the job seeker to figure it out. Be sure to read A Sharp Eye’s article, Improving Job Satisfaction and Job Seeking For Women with more resources for job seekers. It’s interesting to read about what career coaches can actually do for you. It makes sense that job hunting and interview techniques could be helpful but I didn’t realize they could help with salary goals, etc. It’s something to keep in mind when looking at coaches because I think it could be helpful just to have the extra professional advice even if I don’t immediately need it.